In the changing landscape of the optical market, raising professional standards becomes a priority. The challenge is to be pro-active and not re-active. In this context, the International Opticians’ Association aims to bring opticians around the world together to consider the future and create plans for development of the profession. Considering new technologies and understanding emerging consumer behaviours are key factors in anticipating major changes that will affect the scope of practice. Elaine Grisdale explains in this interview what is the (new) role of the IOA and how to work more effectively to ensure the public has better outcomes when seeking first class eyecare and adapted eyewear. She also shares some thoughts on how to prevent independent opticians from becoming “dispensing dinosaurs” in what is the fastest moving period in optics – ever. Points de Vue: The International Opticians’ Association (IOA) was created more than 60 years ago - how would you describe the mission of the IOA today? and its development. Typically these members were also key opinion leaders and successful business owners. The mission of the IOA today is different to in the past to reflect the changing landscape of optics. First and foremost the IOA is an association dedicated to the enhancement and development of the optical profession around the world. Its mission today is to act as a forum for optician practitioners, optical bodies, industry partners and educators to come together and discuss topics which have an impact on the development of the profession and the delivery of world class eyecare and quality vision. The IOA also provides opticians around the world an opportunity to discuss and disseminate matters relating to optical business. Compared to the past, it also now has a more political outlook with emphasis being on the development of the profession worldwide. This is both in terms of helping local optical organisations win the ear of government in terms of recognition and scopes of practice, as well as ensuring the highest standards of practice and quality vision for all. "The IOA is an association dedicated to the enhancement and development of the optical profession around the wolrd"
How would you define the current IOA’s challenges and the top three priorities to undertake in the IOA’s initiative plan? The challenges come from the fact that optics is underrepresented in many countries, while in others the profession is under attack. The IOA aims to have a valuable political and campaigning role to support professionals in these countries. There are places where optics is in its infancy, the IOA’s challenge is to forge partnerships to raise standards across the globe and help countries who are getting started. The challenge is to be pro-active and not re-active. The IOA aims to bring all opticians together to consider the future and create plans for development of the profession, rather than responding to circumstance. i) To increase the visibility and membership through a refreshing new image and vibrant new website. The website will globally highlight the work of our profession to the benefit of opticians but also the public who deserve to know more about what an optician does and what they can expect from an optician visit. ii) To engage with professionals all over the world via associated social media channels to provide a support mechanism helping opticians deliver the best standards of care. It will also ensure that the IOA is an active and relevant part of opticians’ lives. iii) To act as a bridge between optical professionals to create relationships and a professional network to strengthen and improve the profession and share best practice and continued development. Our new website and social media channels will allow every optician who has access to a mobile to learn more about their profession and develop their own skills and knowledge. How big is the membership of the IOA? Who can become a member and how? At the moment there are a number of English speaking countries in Asia, Oceania and North America as well as the UK and Ireland who participate in the IOA but with only a few key opinion leaders representing the countries. Our aim is to be more active to persuade the member associations to communicate more with their national members to encourage engagement with similar professionals abroad. Any individual optician in the world can join the IOA via our website www.ioassn.org and they can then automatically become a member of a wider optical family. Some associations like the ABDO in the UK, ADONZ in New Zealand and the OAC in Canada will pay a membership fee per national member to give membership of the IOA as an added member benefit. We are also introducing individual membership categories and corporate membership for industry partners who support and encourage the development of dispensing optics. There are 700K opticians worldwide with no international representation or way to bring the community together to share best practice and to make sure it evolves in the right way. Optometrists represent 200K and have a world organization to push their agenda but an optical practice isn't judged on the eye exam, it's judged on the quality of the product bought and if it works for the consumer in terms of vision quality, making life easier, aesthetics and comfort (unless the optometrist finds some pathology then he is the one who is remembered). It's in everyone's interest in the sector that the opticians do a first class job, stay up to date and gain the correct skills to succeed. Hopefully the IOA will facilitate that and the network we create will assist in the development of the profession. "Technological advances will change the way in which we communicate with clients and will affect our scopes of practices." How does IOA work and / or partner with other vision health stakeholders? There has been no international body working for the advancement and protection of the opticians profession unlike in optometry and ophthalmology both of which enjoyed representation by world bodies. Through face to face interaction with other professional bodies and via the conduit of national organisations, the IOA will be able to play a more active political role to advance the profession and protect the public. Ensuring stakeholders representing optics and optometry do so fairly , by encouraging development of the profession in countries where there are little resources, acting as an international reference for excellence in optics for national bodies fighting with Ministries for recognition or increased scopes of practice, helping promote skills via the website, CET, train the trainer and advice and guidance. Promotion of the profession to the grand public with the emphasis on explaining the need for professionals to deliver the best quality vision and products. Promoting opportunities for professionals to move to other countries to experience work abroad. Working with industry partners to look at areas for development both in terms of geography and product knowledge. I am lucky that I spent many years in a previous life as the Global Manager for Professional Relations in Optometry and Optics for Essilor International. In that time I spent globe trotting, I created many liaisons with opinion leaders and institutions around the world in optics, optometry and ophthalmology. I sit on various international and European committees and I attend international optical events which gives me the chance as the IOA representative to have the chance to speak about how we can work more effectively to ensure the public has better outcomes when seeking eyecare and adapted eyewear. Could you please explain your role in the IOA and the way you envision the IOA development in the coming months and years. As Director of Development. I have been tasked with breathing new life into the IOA. The demographics in the optical sector have changed certainly since the roots of the IOA in 1944 and even since 1994 when the International Guild of Opticians became the International Opticians Association. In recent years, the IOA hadn’t really moved in line with demographic changes. 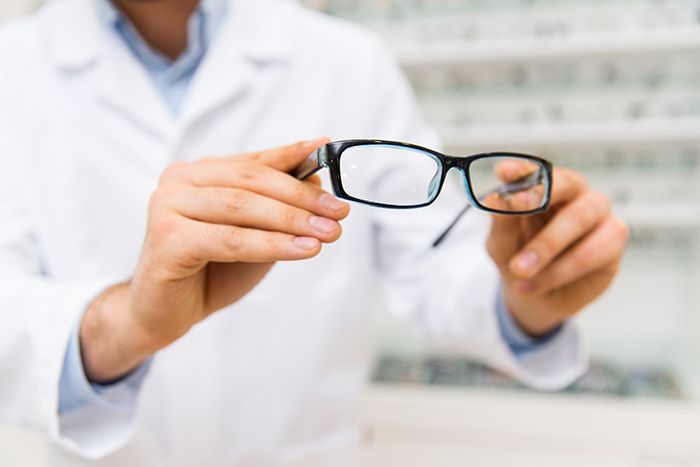 Today, the IOA should not just be for business owners, but should be there to represent all opticians no matter who they work for and should help them to develop as professionals. 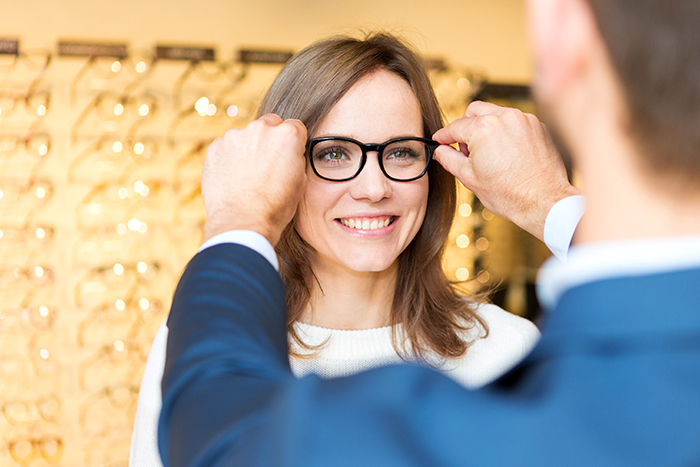 We aim to ensure that opticians are not just seen as shop-keepers and relegated to being thought of as engaging in just a commercial activity. We aim to push the profession of optician as being part of a healthcare profession where opticians will enjoy a better status and a place at the table when eyecare is being discussed. This will be increasingly important in the coming years with the aging population and the need for services such as low vision management. Business matters should not, of course be ignored or forgotten. We will make sure that the IOA also creates a forum for business development to happen. 80% of the turnover of a practice which also undertakes eye exams, comes from the dispensing element and the supply of optical appliances. The investment in clinical and diagnostic equipment and optometric staff could not happen as efficiently without the work of the optician. You lecture in several international congresses and focus on this intriguing question ”Are you a dispensing dinosaur?” Why do you ask this question? The presentation started as a look at what practice would look like in 5, 10, 15 years time. It is a reflection on how the future will affect not only an optician’s survival but also optometric colleagues as the two are inextricably linked. We are living in an exciting, dynamic and transformative time where to stay still is not an option. I highlight that there is a fine line between being comfortable with the way we are working and being complacent and there is no room for being complacent in what is the fastest moving period in optics – ever. I get people to reflect on what they do everyday in practice – they discover whether or not they are in a rut or feeling comfortable with the status quo. I get them to analyse whether they, in fact, like their job. If not, they need to think about what they can do to improve things. If they are not feeling fulfilled at work then this negativity will come out in the way they work and communicate to their patients. They risk ending up giving mediocre service and product choices instead of an amazing experience with amazing eyewear as the end result. I point out that if they are doing the same things day in and day out, using the same language, the same instruments as even only 5 years ago, then they have a potential problem for the future. I have never had a presentation which has solicited so much positivity and comment. I think it has been like a professional therapy session for some people. It’s this positivity, common reflection and connectivity with fellow professionals – all of us looking forward and discovering how we can be better, that the IOA will help with. Why is safeguarding the profession of the optician so important? How the can the IOA help? In some countries, opticians are very much undermined and ignored by the government when eyecare is being discussed and funded. In some countries they are not allowed to practice what they are qualified to undertake. In some countries, they are not allowed to use the term optician, having to settle for the term optical dispenser. Marginalisation of the profession is a concern for the IOA. The IOA cannot fight foreign government / legislative battles, but can lend weight or act as a voice of reason in support of good practitioners who are oppressed in exercising their profession and further developing their skills. The IOA will lend support to opticians and DO organisations when laws threaten established practice. More choice and first class service and attention have always been associated with the independent practitioner who has the time and the freedom to devote to the client. Specialization and expertise will be ever more important in the future for independent opticians to differentiate themselves from multiples and online providers of eyewear. "The customer profile is also going to be a key in determining how we offer services in the future." What are the opportunities and threats for the optician profession given technological developments and changes in consumer behaviours? Technology will inevitably affect the way we work. It isn’t just a case of looking at how old dispensing methods are and what investments we need to make in terms of upgrading our equipment but also understanding the market and anticipating change. Technological advances will change the way in which we communicate with clients and will affect our scopes of practice. It’s incredible to look back and think that the first mobile phone call was made on the 1st January 1985 in the UK on a machine which weighed 4.7kg! Today everyone uses a mobile device of some sort and it not only is used for calling, but texting, reading emails, connecting to social media (a far distant dream in 1985) and can even be used to regulate the central heating before you arrive home. The consumer (patient) is at the heart of everything we do. We cannot survive without a strong relationship with our customers. There is not only the relationship in the practice that matters now but increasingly the pre-rendezvous and the post rendezvous. In the future these two parts of the patient journey will take on even more importance and the skills needed in the before and after phases may be ones that we don’t possess but will need to harness or buy in. We are all attached to our digital devices and there is even a clinical name for not having our device at hand or for not having any connection. Nomophobia (No-mobile-phone-phobia) is a term coined during a 2008 study commissioned by the Post Office in the UK to look at anxieties suffered by mobile phone users. The advantages of our patients being connected means that we can contact them more easily and in a cost effective way. The trick is to know how to do this effectively and in a targeted way without being a nuisance. The disadvantage is that behaviors change and our clients rather than coming into the practice to see us, may be tempted to not just purchase their eyewear on line but increasingly, be tempted to undertake a refraction or eye health check on line when these methods are deemed reliable. The customer profile is also going to be a key in determining how we offer services in the future. 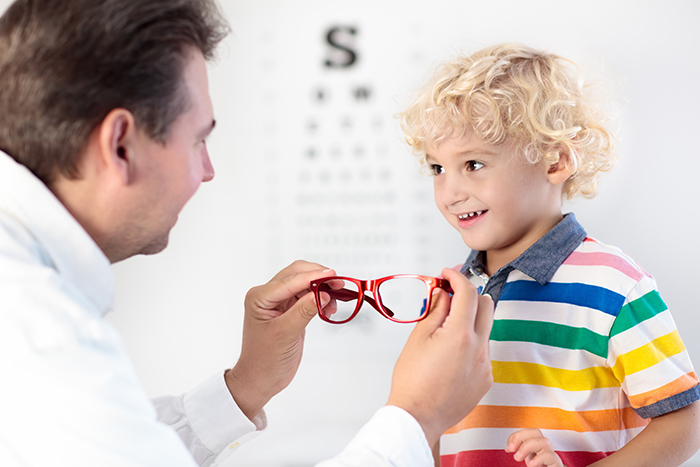 The young clients of today are all connected and will be more inclined to be impressed by technology in practice, or be inclined to use technology themselves regarding the eye examination and dispensing functions. We cannot lag behind where investment in new technologies is concerned. What would be the golden rules for attracting and maintaining consumers happy in independent practice? I would say that these rules don’t just apply to independent practice. They should be for all opticians. a) The attracting the customer phase is important and it inevitably will need skills in communicating via social media. If you do not possess these skills, it is important to employ or engage with someone (family or staff member) who has a flare for and understanding of these topical ways of communicating. b) Remain topical and relevant with any communication – find your niche and exploit it. c) Ask yourself how are you going to stand out from the crowd? What is your unique selling point? What is your speciality? d) Define who you are going to attract? What are the demographics of your catchment area? Have these changed since you bought the practice? Know who your customer is so you can better serve them. e) Your website must be up to date and relevant. A neglected website is just as bad as a neglected shop window. f) Do not second guess your customers. Take the opportunity when you see them to ask them what types of social media they use. If the majority of your patients are under 25 and maybe not spending time on LinkedIn, then do not waste your time posting on LinkedIn. g) People buy people – you have to sell yourself and your staff. What can you offer? Make them feel as though they know you personally, given them insights into your likes and dislikes (they may be similar to your prospective patient and you are creating bonds this way). If you have polar opposite likes / dislikes you may be avoiding a tricky or toxic relationship by not engaging with some potential clients (that is also a positive). Points de Vue: Thank you! The IOA is an association dedicated to the enhancement and development of the optical profession around the world. It acts as a forum for optician practitioners, industry partners and educators to come together and discuss topics which have an impact on the development of the profession and the delivery of world class eye care and quality vision.